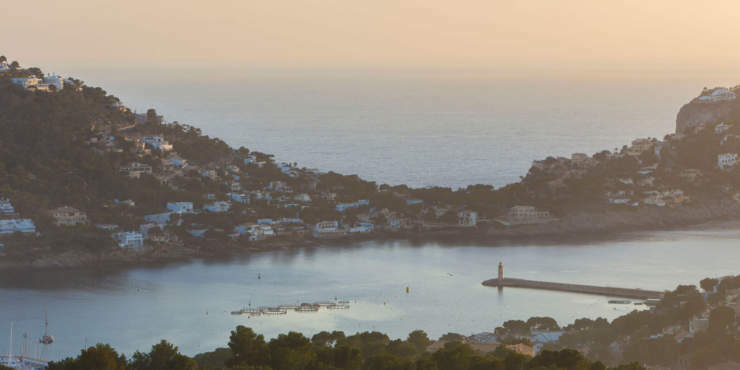 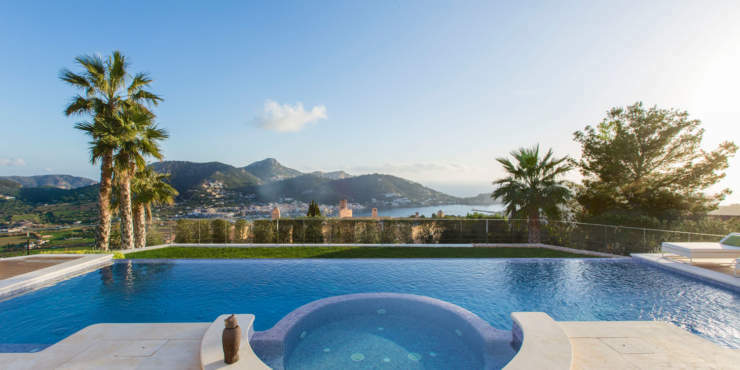 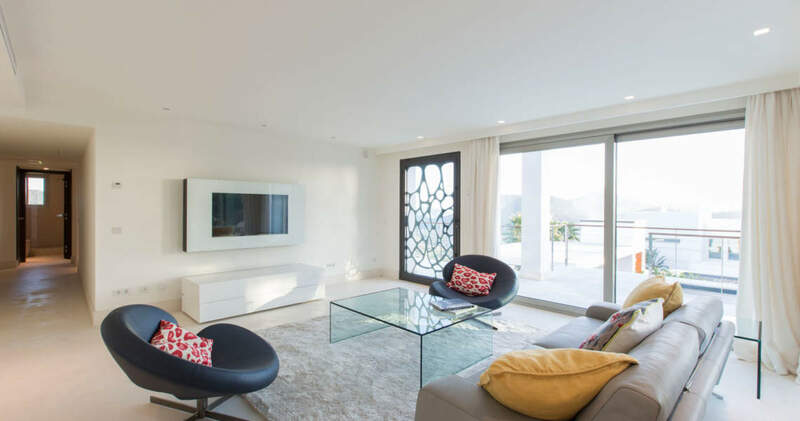 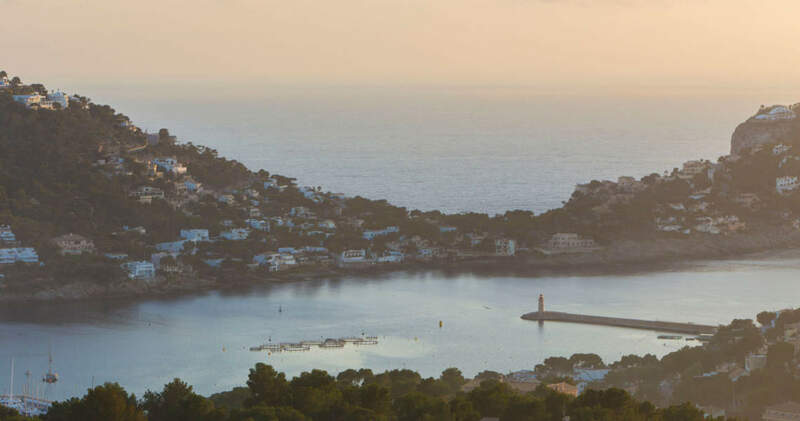 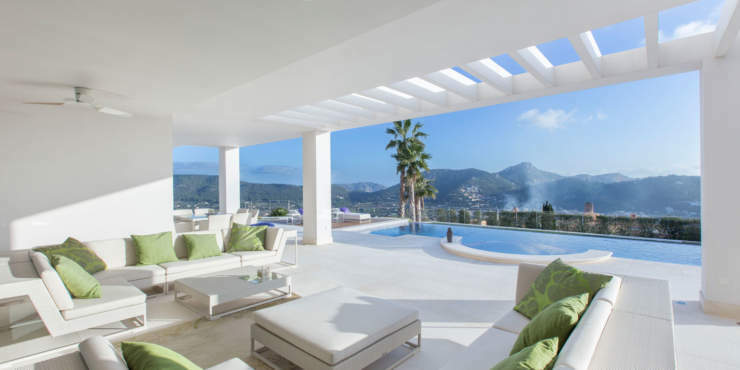 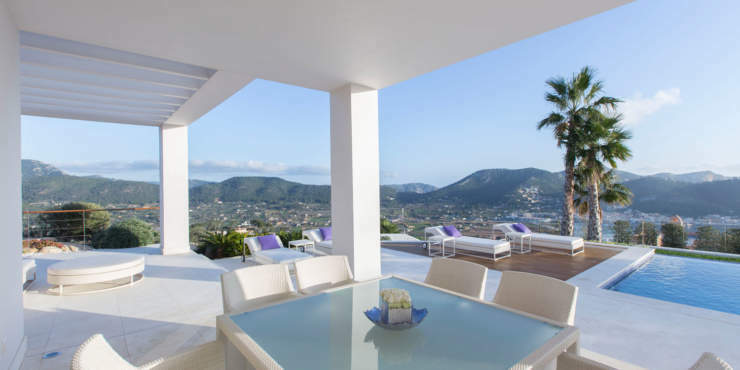 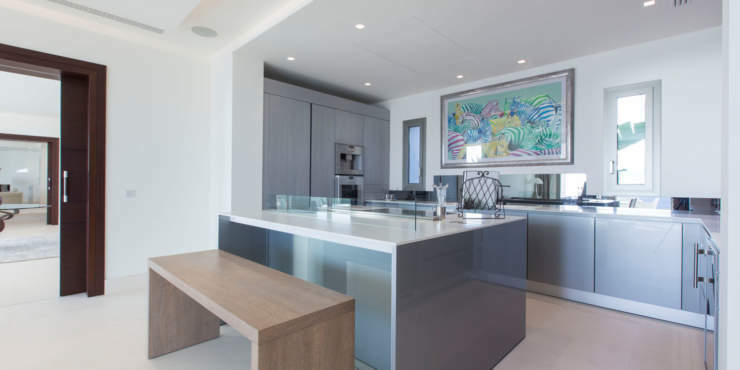 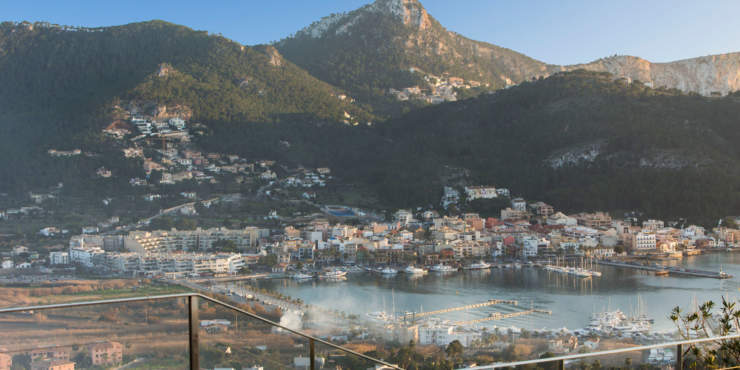 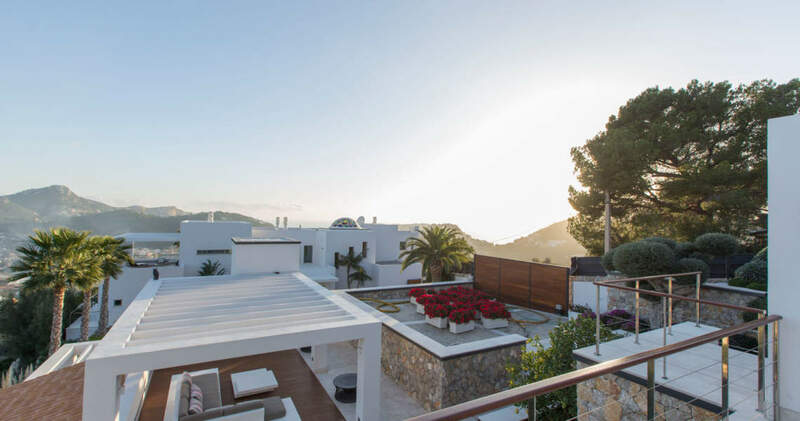 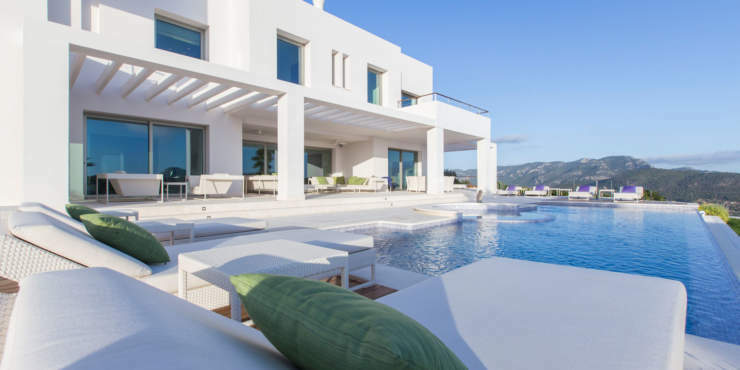 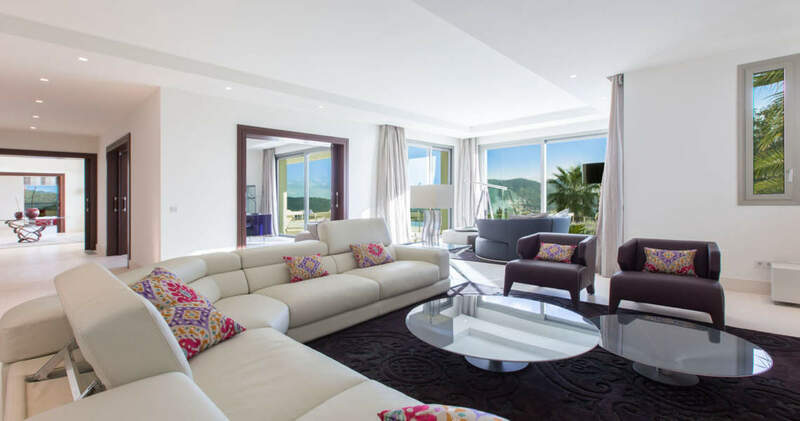 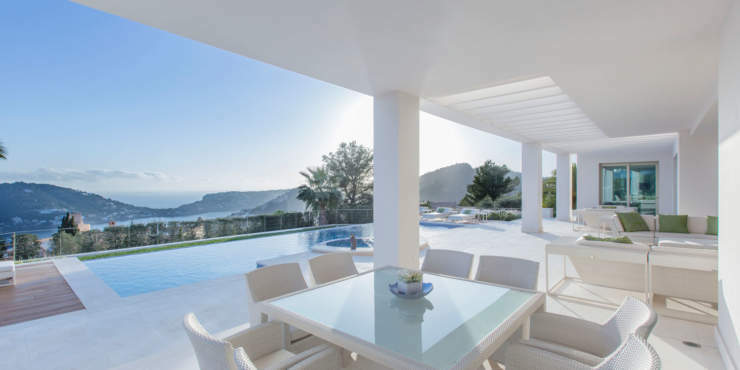 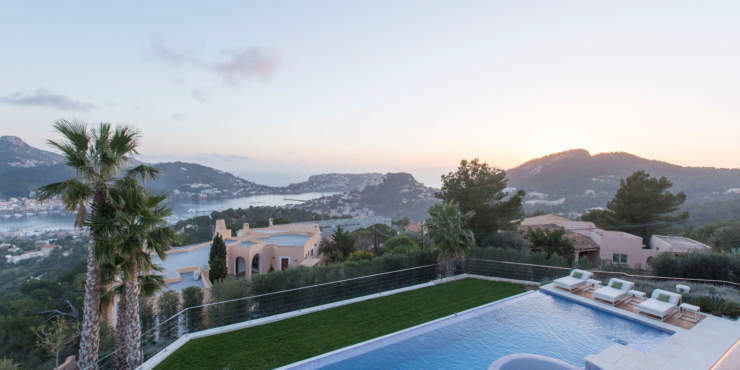 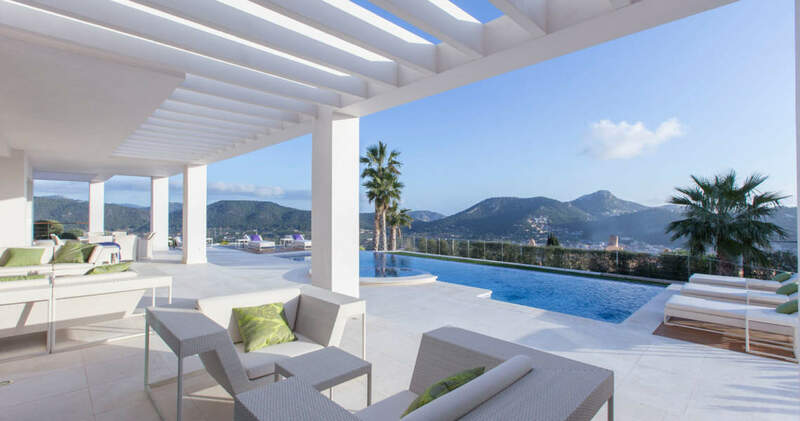 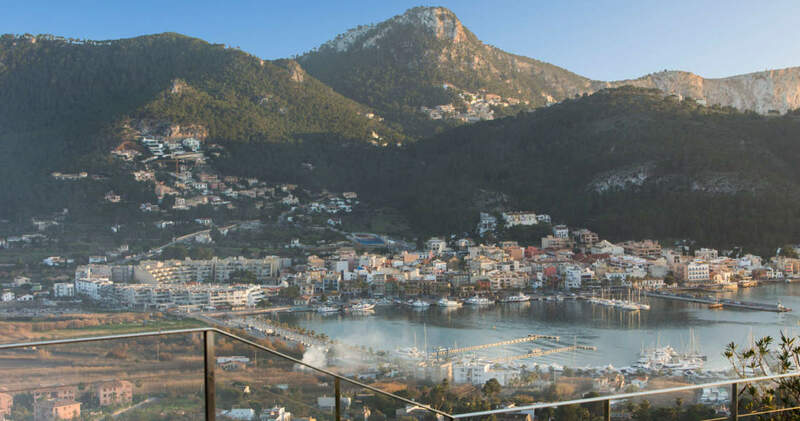 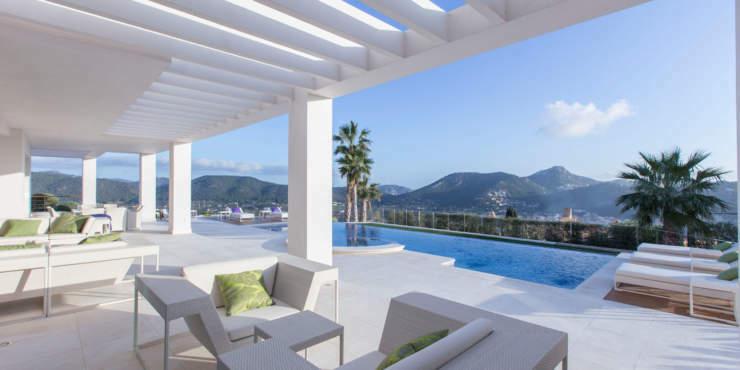 This ultra-modern villa with guest house sits high above Puerto Andratx on 3.000 m² plot and boasts unbeatable views of the sea, the harbour and the mountains in the distance. 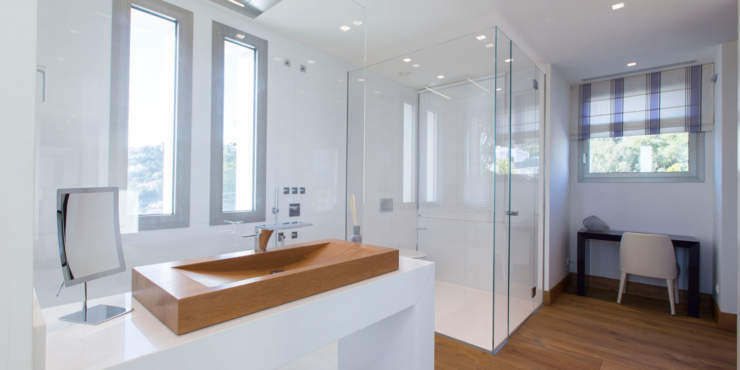 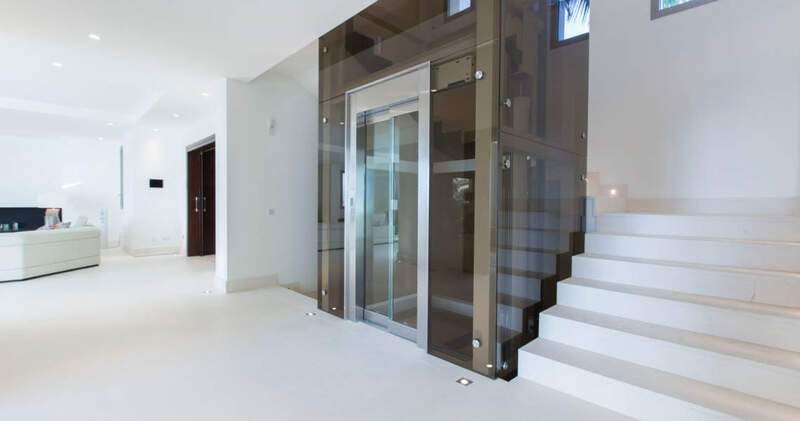 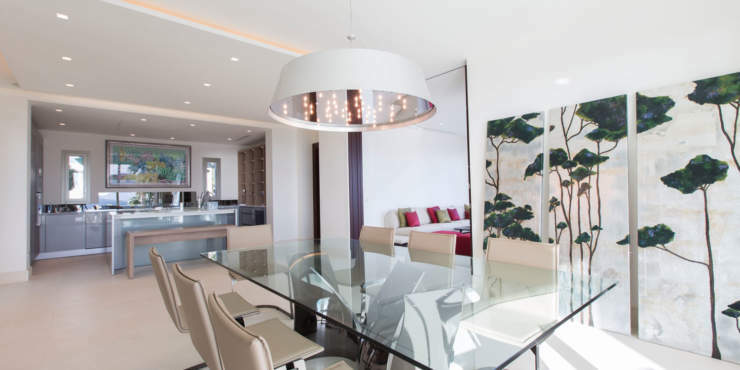 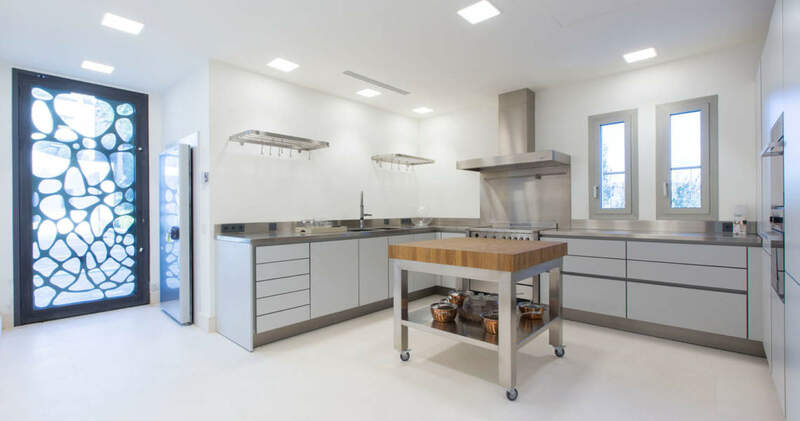 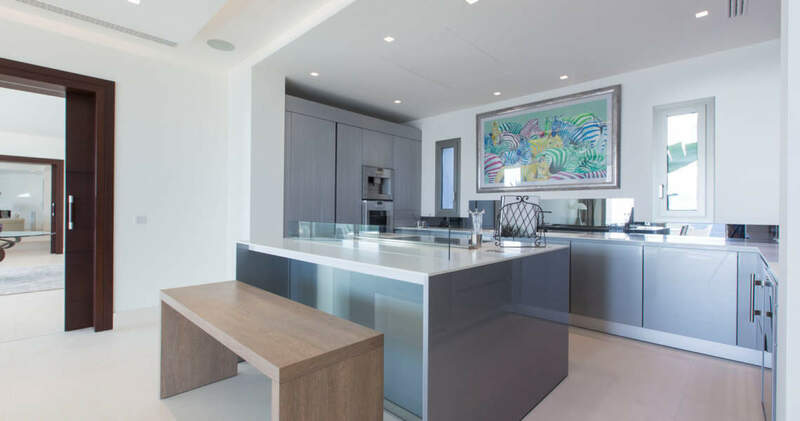 The property was constructed using the best of building materials and high quality fixtures and fittings. 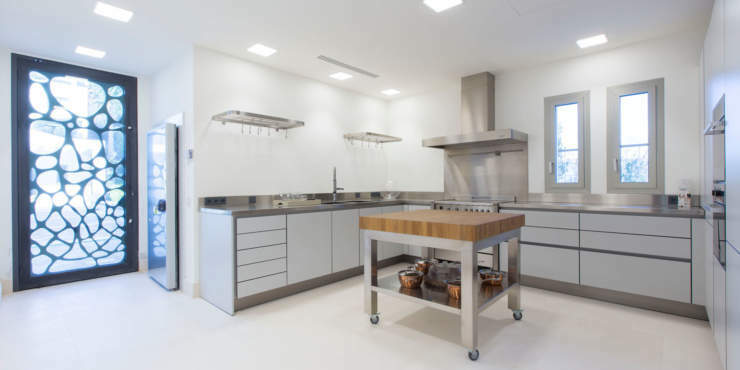 The ground floor of the main house features a living/dining room, a kitchen and a study. 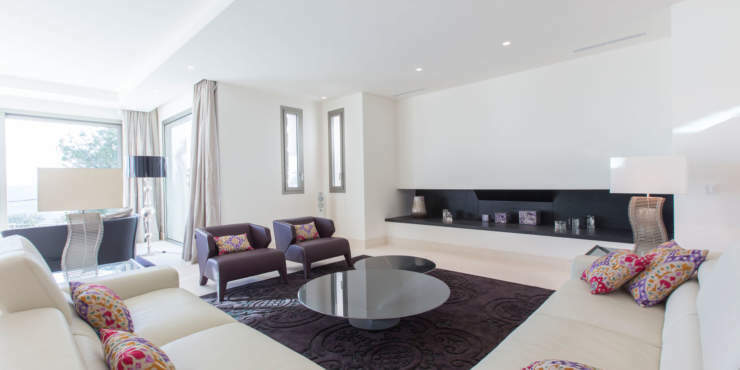 The top floor accommodates the master bedroom with two bathrooms en suite and a further three bedrooms all en suite. 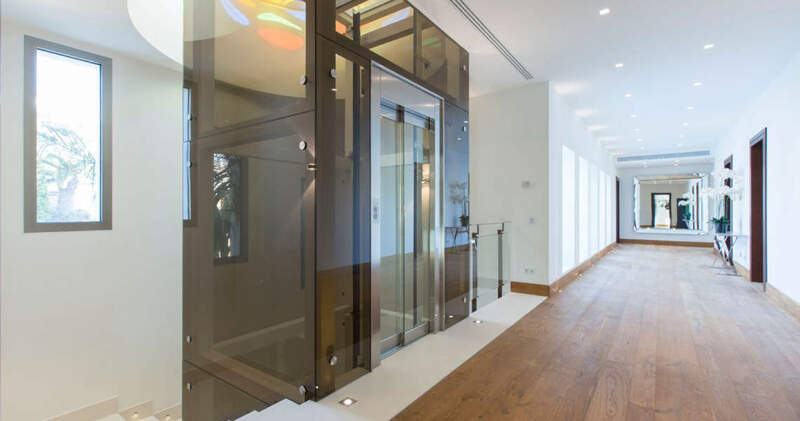 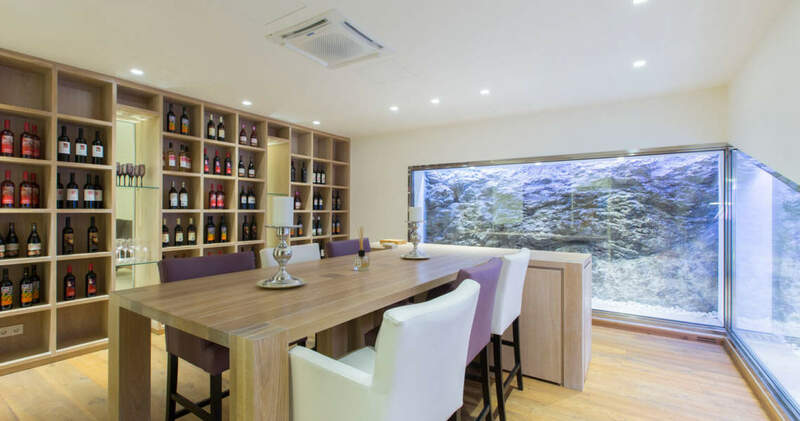 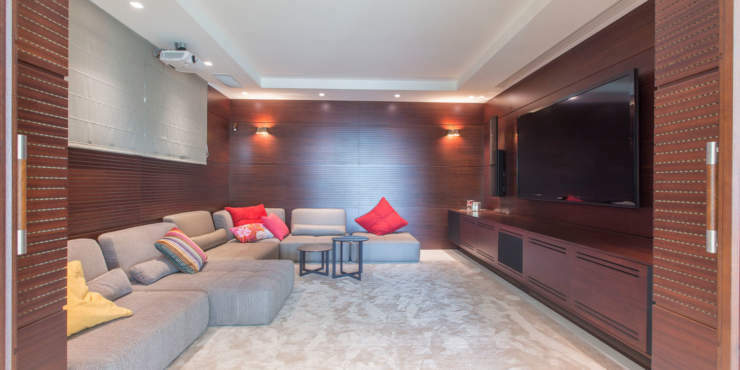 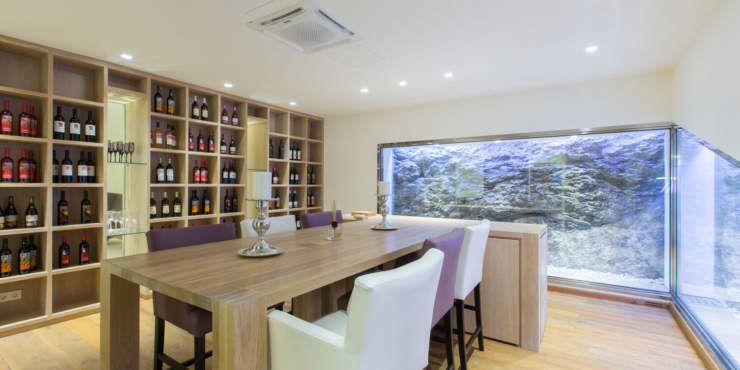 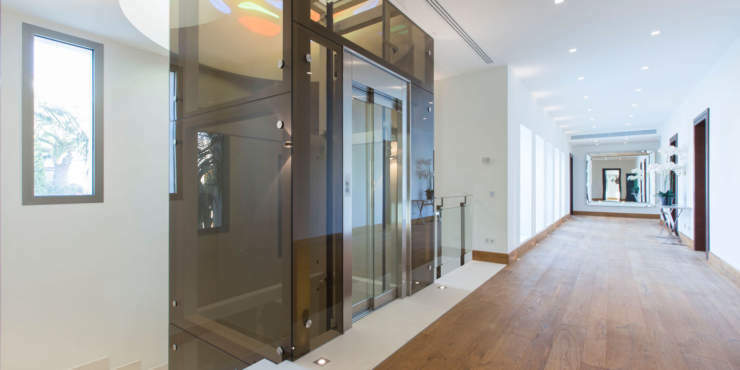 The spacious basement offers a natural stone wine cellar, a gym and a home cinema. 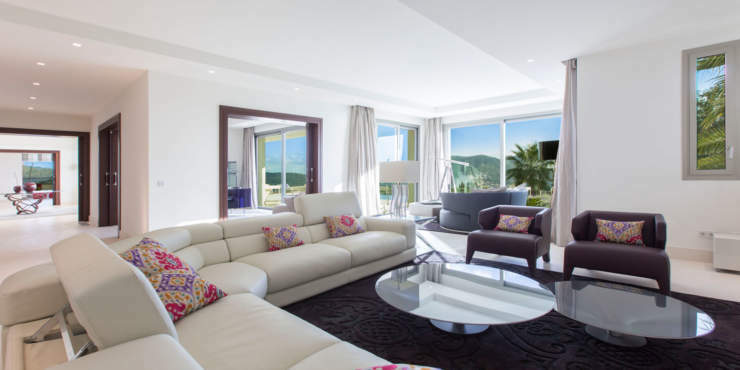 The exclusive guest house comprises a living room and two bedrooms each with en suite bath as well as a jacuzzi. 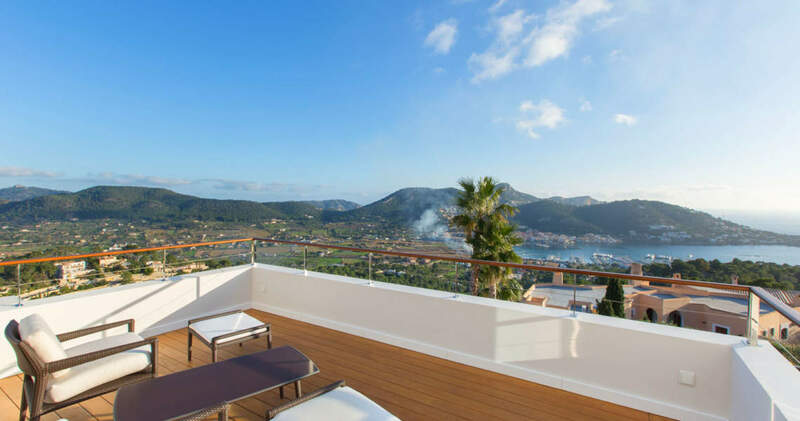 Outside are spacious open and covered sun terraces and a swimming pool with outstanding harbour views. 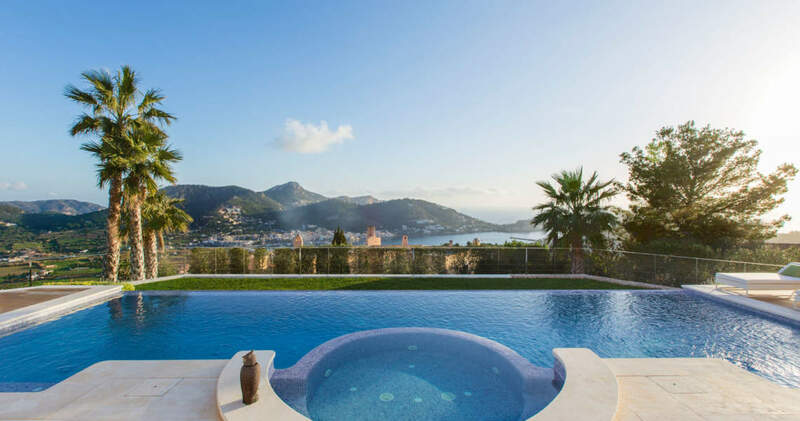 A garden with exotic plants and water features that create a sense of calm and relaxation complete the offer of this unique property which leaves nothing to be desired.